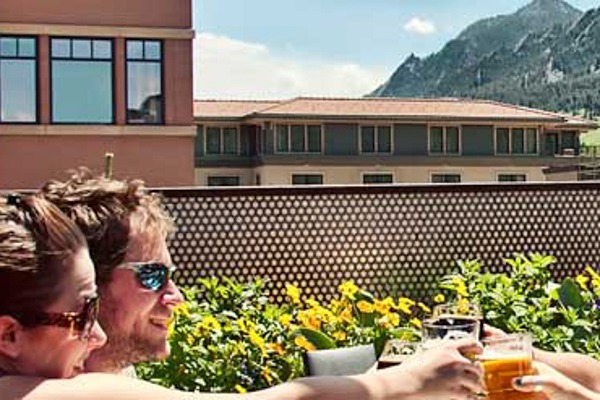 This summer, whether it’s a rooftop deck or a sun dappled patio, Downtown Boulder has cold drinks in abundance and happy hours by the dozens – all nestled under spectacular views of the Flatirons. Come join us in Downtown Boulder to experience and rediscover the true spirit, magic and authenticity of our vibrant downtown district. With the Boulder County Farmers’ Market appearing twice a week (Wednesdays and Fridays) right in front of the Boulder Museum of Contemporary Art and Dushanbe Teahouse, you are never far from farm-fresh bounty and delicious food. Downtown chef’s are leading the charge of organic, sustainable and best of all, delicious cuisine from casual to contemporary and exotic to ethnic. If it’s live music you’re after head to the Pearl Street Mall on Wednesday nights all summer long for Bands on the Bricks, Downtown Boulder’s free concert series, now featuring a Beer & Wine Garden with local brew provided by the Boulder Draft House. In addition to Wednesday evenings, locals and visitors alike can enjoy great music of all genres during their Friday lunch breaks at Downtown Boulder’s Noon Tunes concert series starting at noon in front of the County Court House. Every Saturday from 2-4 p.m. head over to One Boulder Plaza where you can enjoy even more free live music at Center Stage presented by The Rib House. Be sure to check out Downtown Boulder’s 32nd annual ArtFair from July 17 to 18 along Pearl Street. Featuring more than 120 local and international artists, this juried fair offers attendees the opportunity to meet each of the exhibiting artists. In addition, attendees can enjoy culinary demonstrations, a children’s activity booth, and live entertainment. In August, Shift Your Worldview: the Boulder International Fringe Festival will be running August 18 to 29 offering something for everyone, whether it’s time for your annual shot of culture or if live performance is a part of your daily diet. All Unjuried. All Uncensored. All in Downtown Boulder! Want more reasons to visit downtown? From August 6 to 8, come stroll the bricks and beyond for the annual Downtown Boulder Summer Sidewalk Sale. Retailers give you some of their best discounts of the season as you support hundreds of locally-owned business and enjoy some of the hottest summer deals around. From engaging events to fabulous dining & shopping, there is something for everyone in Downtown Boulder 365 days a year! If you visit on a Saturday or Sunday, remember you can always park FREE in the City of Boulder Parking Garages (Learn more at BoulderParking.com). For up-to-the minute info on everything Downtown Boulder check out BoulderDowntown.com, join us on Facebook or follow us on Twitter @DowntownBoulder.